Jenna isn’t Flamin Mad but she is riding her to a possible win at The BOTB! Here is a little more about Jenna and Flamin Mad who will be running at the BOTB in August. Tell us a little about your horse: Flamin Mad AKA “Anna” is a 7 year old 15 HH sorrel mare by Crush and out of Dances With Ester (Jet of Honor). She is full of heart and personality. Everyone has a favorite place to run, tell us what yours is: C Bar C in Cloverdale, Indiana, because the facility is great, the people are great, and my horse loves the ground! 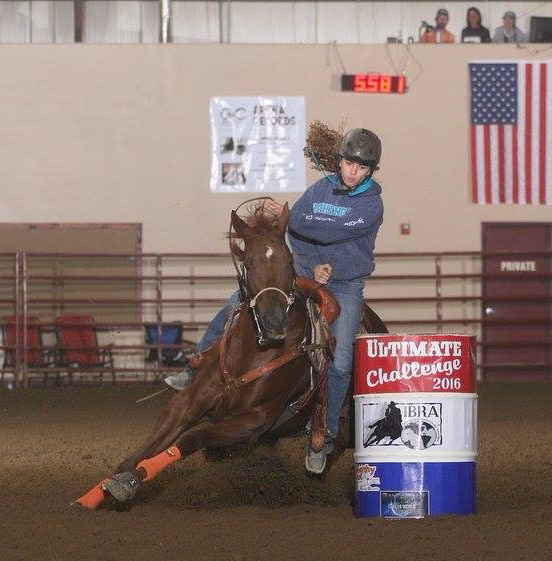 Give us a little more insight about you and your horse: I am very grateful towards my friends and family, especially to Brandice Heseman, who has provided me with the opportunity to ride Anna and is there for us at all times, and to my parents! Next Caleb Cline isn’t Frosty when it comes to winning! This team is on fire!